The generated objects are listed here, along with the error messages if any exist. The migration code may also be viewed and edited here (see the figure that follows). 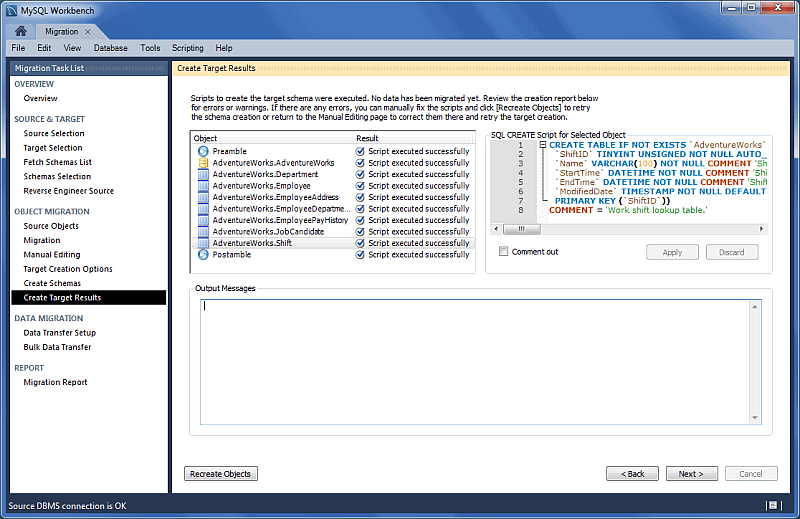 To make changes, select an object, edit the query code, and click Apply. Repeat this process for each object that will be edited. Finally, click Recreate Objects to save the results. The Recreate Objects operation is required to save any changes here. It will then execute the previous migration step (Create Schemas) with the modified code, and then continue the migration process. This also means that the previously saved schema will be dropped.